Price: USD 6700 per person double occupancy. Duration: 13 days (12 nights). – Difficulty Level: Modirate – High altitude might be a factor for some! 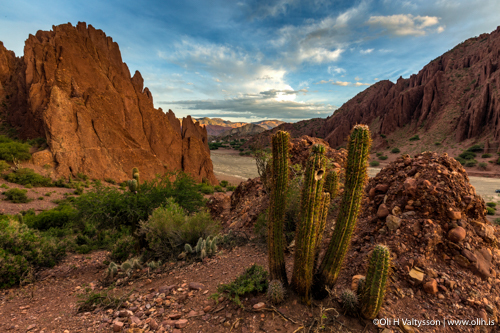 Bolivia is a beautiful and dynamic country with natural diversity on many levels. 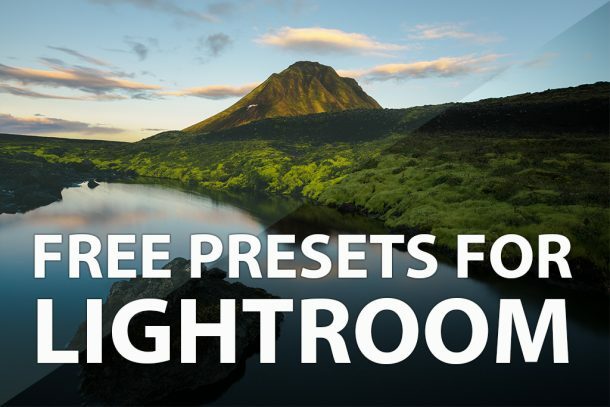 The geographic diverse landscape creates dramatic and sensational photo opportunities with varied weather conditions and wild cloud formations as from another world. The multi-ethnic cultural diversity amongst the 11 million inhabitants is captivating and impressive as the Inca legacy lives strong in the folk soul of the hard working and charming Bolivians. They carry the greatest respect for nature and proudly care for their developing country despite serious poverty and hardship. 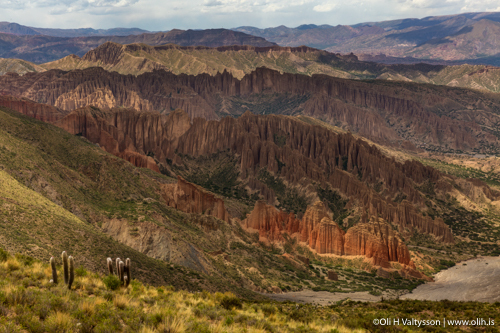 Bolivia’s unique animal species colour our experiences as never before and you will be glad to capture magical shots of it all. The very different foods, the immense mountains against the vast open plains with dangerous crevasses and the colourful charades will surely make a trip of a lifetime. 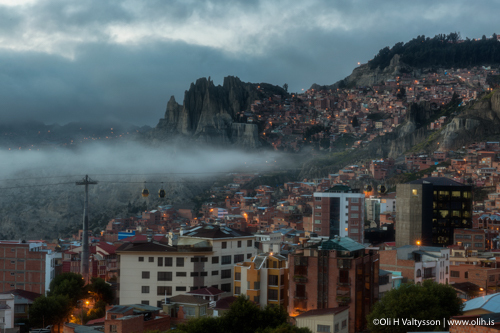 Welcome to La Paz, where we start our Bolivia photography workshop, the city being the highest administrative capital of the world at around 3.500m above sea level. 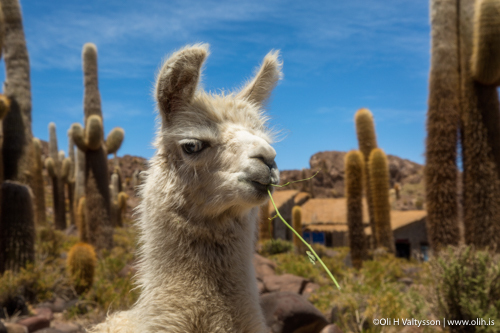 La Paz is situated in a valley between the huge mountains of the Altiplano mountain plateau, which gives it a striking panoramic view in different directions. La Paz is very important culturally for Bolivia with vibrant nightlife and colourful markets. The city was officially recognized as one of the New seven wonder cities of the world in 2015. After everyone has checked into the hotel, we head out to dinner together to get to know each other and what is in store for us. We start the second day of our photo tour with a good orientation breakfast before we drive to the red-roofed town of Copacabana, not far off the Peruvian borders. There we visit the main square, Plaza 2 de Febrero and the magnificent catholic 16th century church, Basilica of Our Lady of Copacabana (Catedral de la Virgen de la Candelaria). 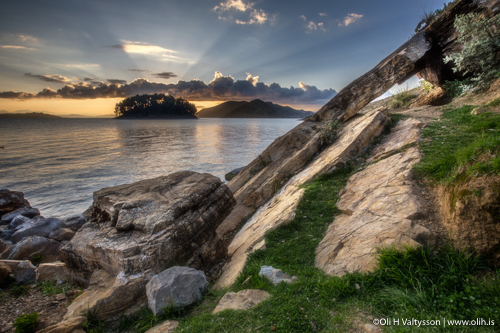 We stop for about an hour so let your photographic lens be caught by the endless impressions. The city is surrounded by the sacred Lake Titicaca which is the largest lake in South America and noticeably the highest navigable lake in the world. 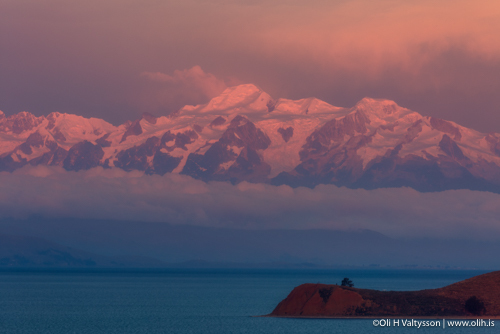 Titicaca is even believed to be the origin of the sun, moon and stars in Andean mythology. 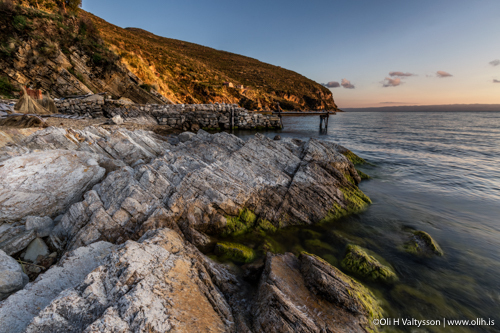 We sleep overnight on the island of Isla del Sol which is about 15 minutes out from Copacabana by boat. 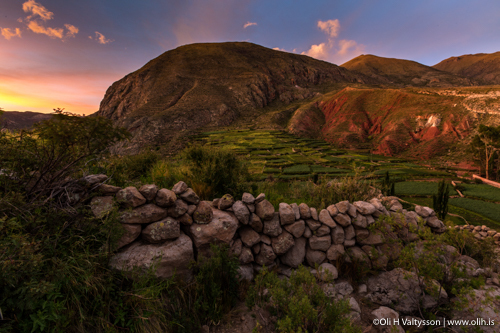 Isla Del Sol is a little island with ancient Inca trails and ruins that we get to explore too. After check-in at our hotel, we walk into the dreamy sunset with our lens ready to capture the magical colour transitions. Be ready for a very early rise as we sail in the dark to ‘The First Temple’ or Pilko Kaina which is an ancient Inca temple ruins site perfect for spectacular sunrise shots. After returning to the hotel for breakfast and check-out, we explore the island itself and visit the village of Yumani to climb the very ancient Inca steps, the Escalera del Inca, leading to a sacred spring believed to prolong youth. We then sail again to the north of the island to the beautiful little village of Challapampa to enjoy the photo gems of the beach and the local vibrant lifestyle. From there we track along an old Inca trail to the labyrinth-like Chincana ruins where we find La Roca Sagrada – Titikaka. This sacred rock is believed to be the birthplace of the sun and the first Incas and is also considered a sacred site of sacrifice, usually for a continuous light. The walk is short albeit a little steep to start which may prove difficult for some. After this elevation the hike is mainly flat and incredibly picturesque and beautiful, giving us an altered perception of the lake and surroundings. Along the path we see the outlandish fields of amaranth and quinoa where native women work in their colourful gear. Those who choose not to walk can spend more time in the village and will then be taken by boat along the coastline to join the rest of the group. The boat will take us back to Copacabana and we drive back to La Paz where we stay overnight again. No doubt we will stop on the way for enticing sunset photoshoots. Today we check out early and head to Oruro or Uru Uru, midway between the two capitals, La Paz and Sucre (the constitutional capital), right on the Lake Uru Uru. In this buzzing, mining city we may visit a cathedral boasting of a special door, leading the way into an abandoned mine tunnel, so we can still smell the sulfur in the cathedral. Today attached is a small mining museum. 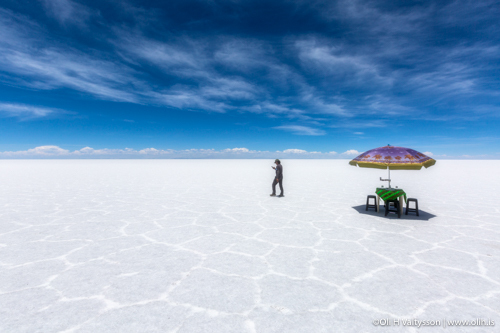 We leave the bus in Oruro and head in different jeeps to the Tahua Salt Flats, also known as Salar de Uyuni which is one of Bolivia’s main attractions.The overall travelling time is about 8 hours so we recommend people rest for the first part of the trip. The salt flats spread over a gigantic space of the dried up Lake Minchin and is the largest salt plain in the world with billions of tons of salt breaking up in nature’s arrangements of hexagonal patterns. The plains create illusions of infinite mirrors during the rainy season of January to March, when we are there. On the way from Oruro to Colchani, from where we access the flats, we stop at numerous viewpoints to capture the beautiful sunset in the desert-like mirage sprinkled landscape. Along the way we may see fascinating quinoa fields again and furthermore the endangered and rare species of the agile vicunas. Their very fine and rare fur fibres became the objects of greedy merchants which endangered the species however they are now considered to be growing in numbers and thus hopefully saved from extinction. The vicunas are one of the two wild camelids living in the Andes, the other being guanaco. 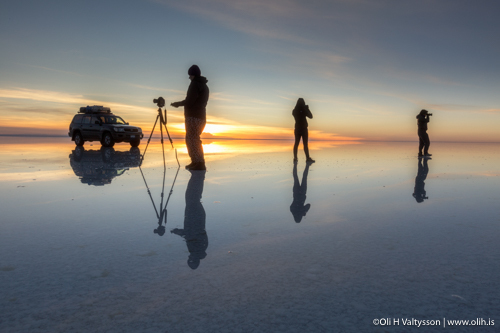 Despite a late night, we rise early today for the dreamlike sunrise on the salt flats. We visit a traditional, family owned, salt processing facility to get a better feel for the importance of the area and only a few kilometers from Colchani, we also explore the pyramids of salt piled up for processing. We then head out again for the dry part of the flats, the Isla Pescado or Isla Incahuasi which is about an hour’s drive away. These former islands are hilly and rocky with incredibly majestic and large cactuses, unusual coral-like fossil formations and llamas as well. We are privileged to have our lunch in the very surreal surroundings at the middle of this incredibly fascinating crystalline landscape. In the evening we get another shot at the Milky Way over the Salt Flats. Please note that Isla Incahuasi may not be accessible due to water increase on the flats so the itinerary may alter on the day. We may also visit the pyramids for sunset rather than in the morning. Again we make the most of our morning and drive early to the Chiguana Salt Flats at the altitude of 3,700 m, close to the borders of Chile. The old trains and tracks in the area make brilliant photographic subjects and we may here again spot the wild and precious vicunas. We enjoy a short rest and lunch on the Laguna Canapa lake before we continue to lake Laguna Hedionda to catch photos of the migratory pink and white flamingos and the lagoon itself. Later we drive into the desert to our hotel where we stay for sunset and sky shootings in the evening. 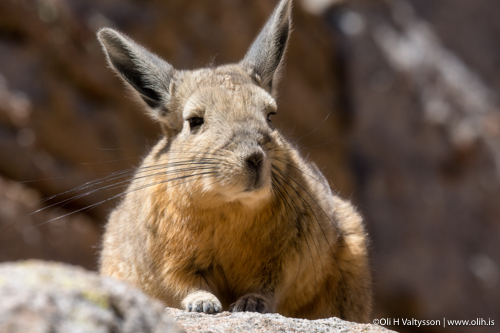 On the way though, we stop to catch another fascinating animal species, the viscachas, which are similar to wild rabbits, although with longer, curly tails. Upon arrival at the hotel, we recommend you take it easy in the evening and be aware of high altitude fevers, fatigue and sensitivities, thus a good rest at the hotel is an option too. Prepare yourself for an out-of-this-world kind of day. Straight after breakfast we drive to the spectacular rock formations of Arbol de Piedra or the Stone Tree which is a huge 7m rock, eroded by the sandy wind over thousands of years into a shape resembling an isolated tree. 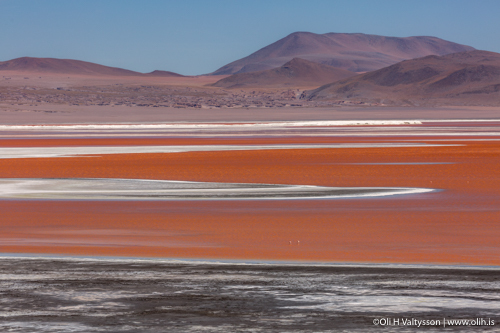 We then stop for lunch at the visually striking Red Lagoon or Laguna Colorada. The red colour of this shallow lake is caused by the red sediments and algae in the area and displays great contrast to the white borax islands all around, projected from the red lagoon. Borax, this white crystalline mineral of a boron compound, is widely used in the world, e.g. in cosmetics, gold mining and fiberglass production to mention a few. 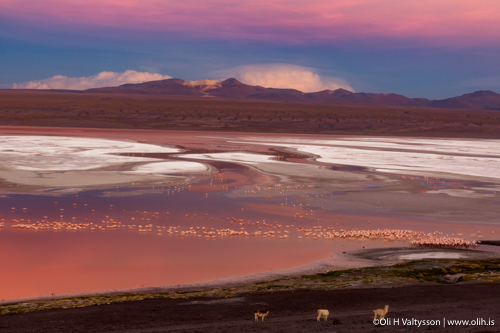 On the lagoon we also see hundreds of flamingos as well as rows of llamas on the banks. 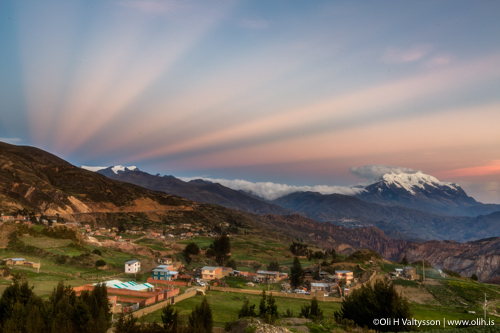 In the evening after check-in to a new hotel we head out for sunset photography masterpieces over Laguna Colorada. 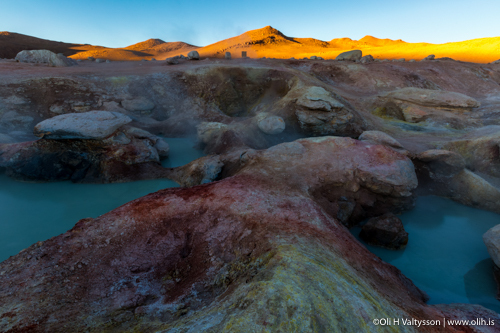 We rise in the middle of the night for an hour’s drive to capture sunrise from the colourful geothermal site of 5000m altitude, Sol De Manana Geysers which literally means the Morning Sun Geysers. On our way back, lowering again to approximately 3800m, we stop in the Dali Desert, where the barren and lunar landscape remind of Salvador Dali’s surreal paintings. We also have a short break at the Polques Thermal Springs for restroom access and shops. 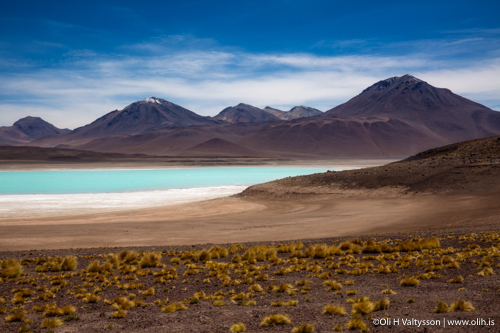 Next stop is the salty Laguna Verde or the Green Lagoon, comfortably situated under a cone volcano, surrounded by the black and rocky landscape. The colour of the water varies from turquoise to emerald green depending on the unpredictable winds stirring the surface. The colour originates from mineral components like arsenic in the lagoon and despite the icy winds and freezing temperatures of the water at times, it still remains liquid. At the end of a long day, we say our goodbyes to this amazing Natural Park and head to a new hotel in Quetena Chico for a well deserved rest. 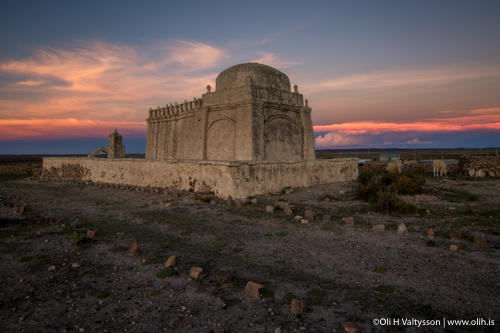 On day nine of our Bolivia photography adventure, we enjoy the sunset close to our hotel to which we return for breakfast and check-out. On our travels, we stop in a little ghost-town built by the Spanish during their colonization for mining purposes however later abandoned. There we can see magnificent stone built houses in a very dramatic landscape. We enjoy lunch at our next hotel in the tiny village of San Pablo de Lipez where we stay overnight. 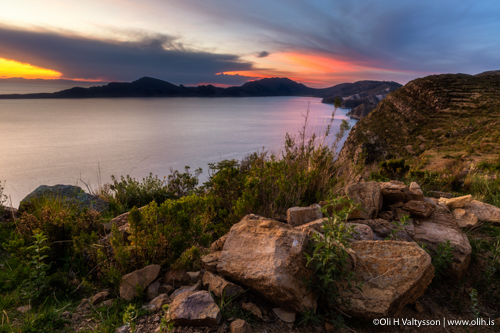 For those who wish, we capture the sunset from the terrific cliffs of Castillo Quemado before we head back to our hotel for dinner and an early night. Today we witness the sunrise from the gigantic Palacio Quemado and take the morning slow and easy. After lunch we drive approximately 4 hours to reach the very tranquil town of Tupiza with a breathtaking stop on the way at the adventure-like pillar rock formations of El Sillar. The entire area is lunar and magical and definitely worth a few moments. The whole area of Tupiza and El Sillar is set in the ‘Wild West’ feeling which gives our photos the extra something of a different era. We enjoy dinner in Tupiza around the enticing sunset in these dynamic mountain valleys. After a hearty breakfast we head to one of the highest cities in the world, Potosi, formerly also one of the richest cities in South America as silver mining was the city’s treasure. Potosi sits right under Mt Cerro Rico (the Rich Hill) and is still a mining city for several minerals although silver has more or less dried up. We check into a historical hotel in Cayara, where the desert-like landscape has surrendered to the cultivated green fields. 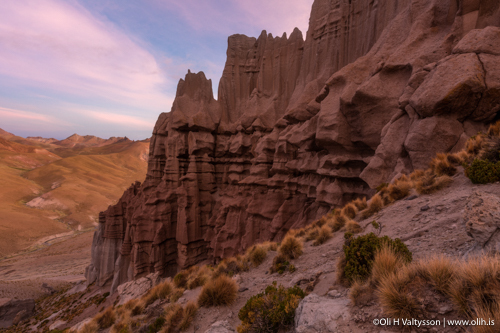 We drive to the famous Valle de las Rocas or the Rock Valley where we share the incredibly dramatic cliffs with rock climbers that may allow you to include them in your cool shots. There are plenty of areas without climbers as well in case you prefer the landscape as is. 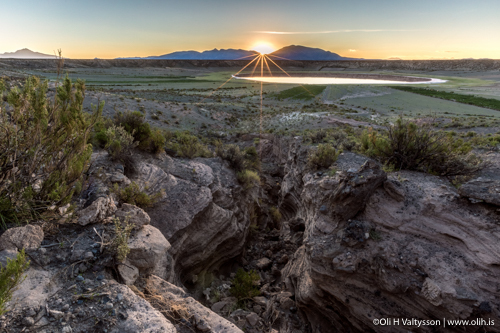 We stay at the Rock Valley until after sunset before we return for dinner at our hotel. On this penultimate day we enjoy the sunrise from Cayara and breakfast before we drive for about 2-3 hours to Sucre, the constitutional capital of Bolivia. Sucre became UNESCO World Heritage Site in 1991 and is often called the White City due to the white painted colonial style buildings and structures. The city lies at about 2,800m and is thus a fairly thin-aired and cool city with about 300,000 inhabitants. We explore the city and make sure to capture the sunset from a beautiful spot with a panoramic view over the whole city. We stay overnight in Sucre for our last night. All return to desired destinations from Sucre, the White City. Please note we are travelling through Bolivia during the rainy season so plans may need to be altered to accommodate for travel safety and enjoyment. Our goal is to assure that you learn different photography techniques to capture nature at its absolute best while enjoying the breathtaking beauty of Bolivia. 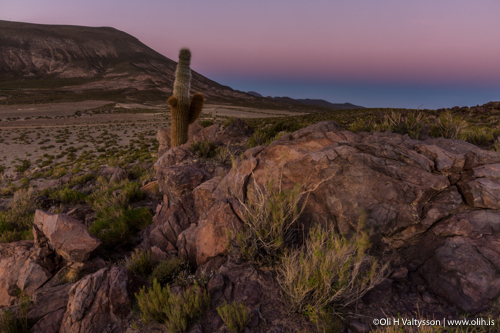 Difficulty: moderate (due to high altitudes), although there is little hiking and no camping involved! More detailed lists will be send’t to every participant. 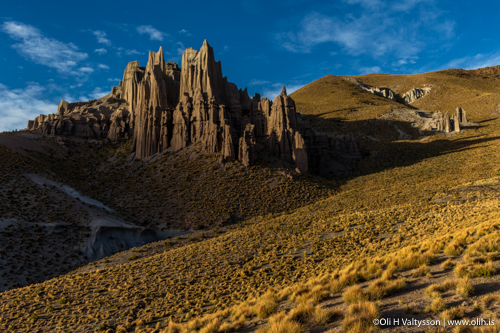 Our goal is to make sure you to learn nature photography techniques and take the best possible photos while enjoying the natural beauties of Bolivia. We will also send you a detailed list before departure.